Raster performance, also known as raster mode, is mainly used for engraving and photo imaging. 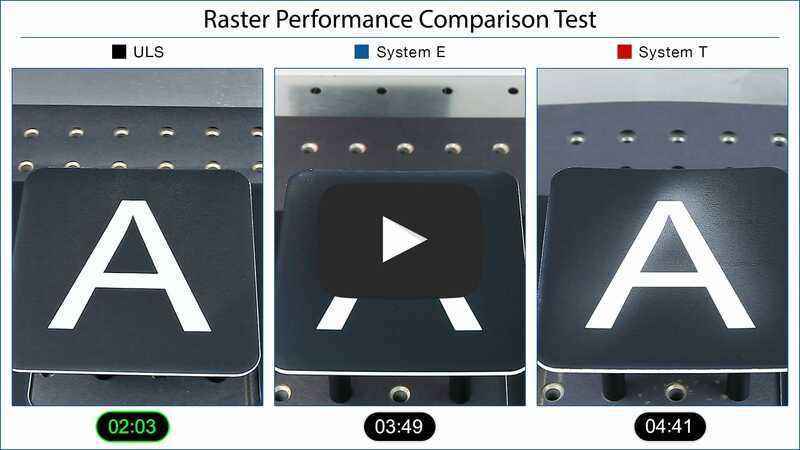 In this test, a single graphic element was used to compare raster performance. Settings were selected on each laser system to minimize production time while achieving comparable, acceptable output quality. The PLS6.150D (ULS) was configured with two 30 watt CO2 10.6µm lasers for a total combined laser power of 60 watts and SuperSpeed™. Competitor E was configured with a single 75 watt CO2 10.6µm laser, and Competitor T was configured with a single 75 watt CO2 10.6µm laser. 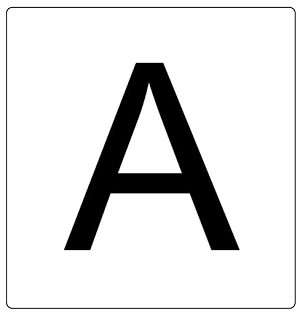 Quality was judged by visual appearance and smoothness of edges on the sample produced by each later system. The material used in this test was a 24" x 12" (610 mm x 305 mm) sheet of black microsurface plastic with a white core. The PLS6.150D with SuperSpeed outperforms System E and System T. Learn how SuperSpeed delivers the fastest laser engraving and marking in the industry.